At CancerIQ our mission is to empower providers to offer cancer genetics services at scale. To do that, we need to streamline the genetic test ordering process. 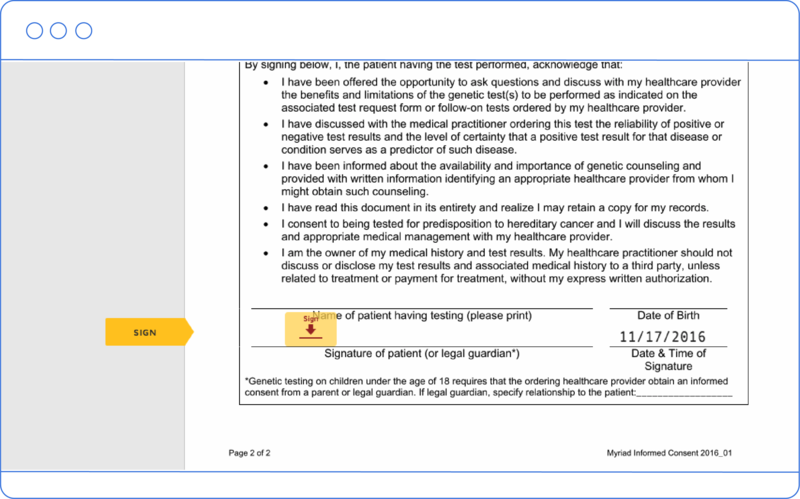 The current workflow requires providers to find patients eligible for testing, obtain informed consent and then fill out a handful of different forms. It can be long and tedious with slow turnaround time. Today we’re excited to announce a much-anticipated Electronic Test Ordering feature from CancerIQ that will make the test ordering process better for everyone. CancerIQ gives you peace of mind that you maintain the highest standards as a genetics provider, and only test patients that meet the latest testing guidelines. Whether you have the criteria down pat or you need some guidance, CancerIQ is a foolproof solution to ensure you’re always testing the right patients. 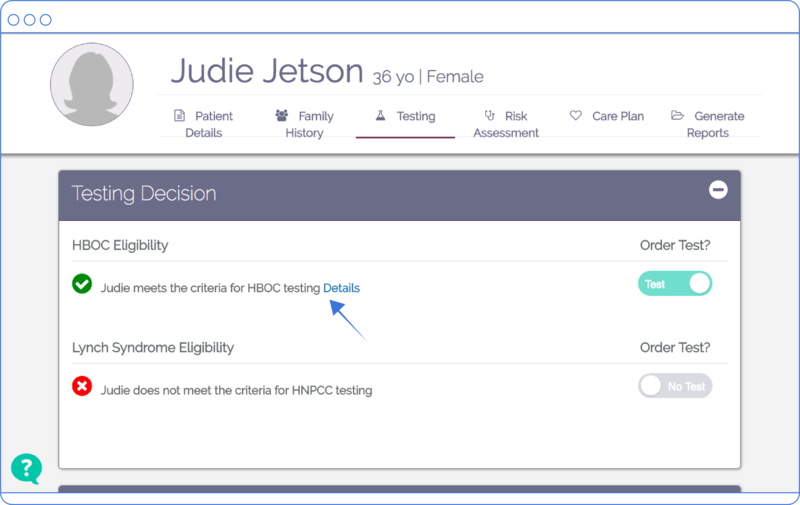 In addition to using the latest risk guidelines, CancerIQ will help you identify the differential diagnosis that results in the lowest out-of-pocket cost for the patient. Whether you have a favorite testing lab or are dedicated to a few, CancerIQ allows you to order what's best for the patient in front of you. We offer a full library of genetic testing options from 10 of the top testing vendors. From there, you can choose from a number of different testing options offered by each lab. We also know that you may want to follow-up with a single-site test for family members, so CancerIQ gives you the flexibility to order multiple tests. With CancerIQ, there's no more lag time while you’re grabbing a test kit or filling out paperwork. While you're preparing testing materials, patients can access video education needed for you to obtain their informed consent. 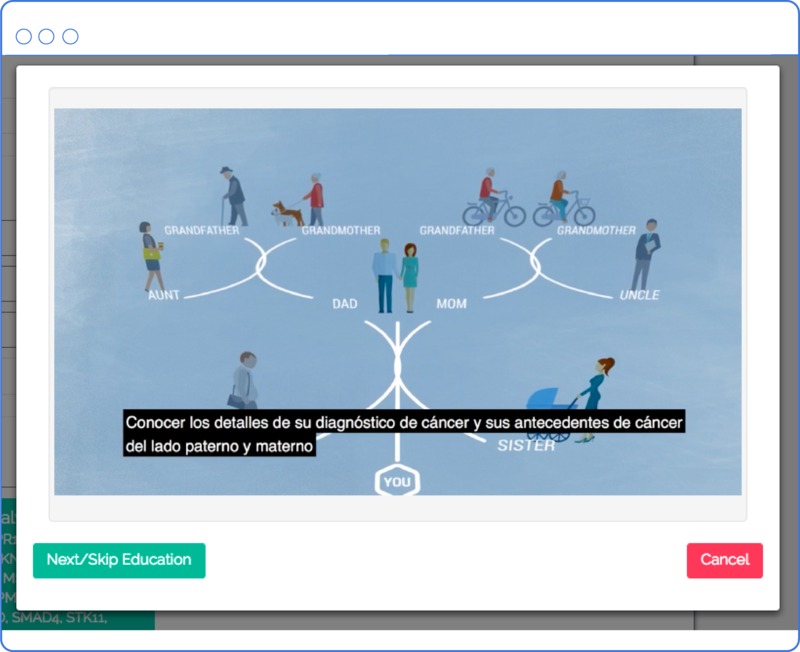 Whether you navigate your patient through MyriadPro videos or content that you develop yourself, CancerIQ helps ensure every patient has the knowledge needed to make informed decisions. Due to constant paperwork, providers struggle to expand cancer genetic services to more patients. 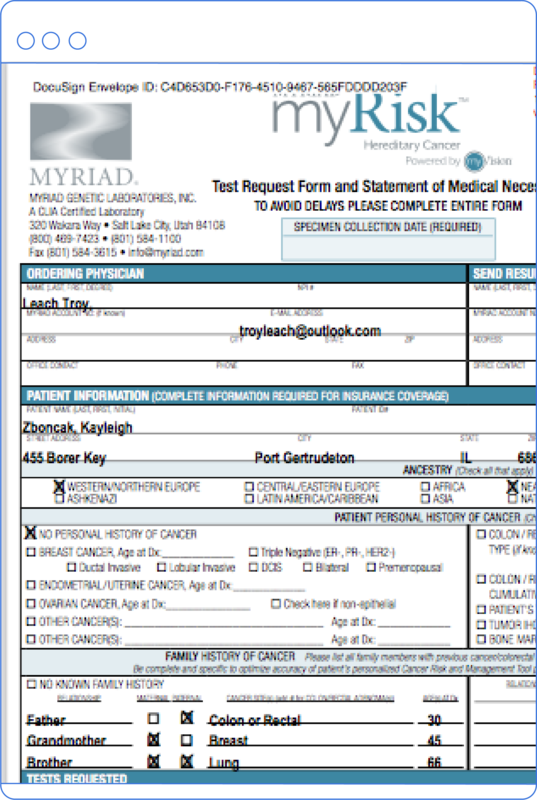 With CancerIQ you can complete test ordering and pre-authorization insurance forms are completed at the point of care. 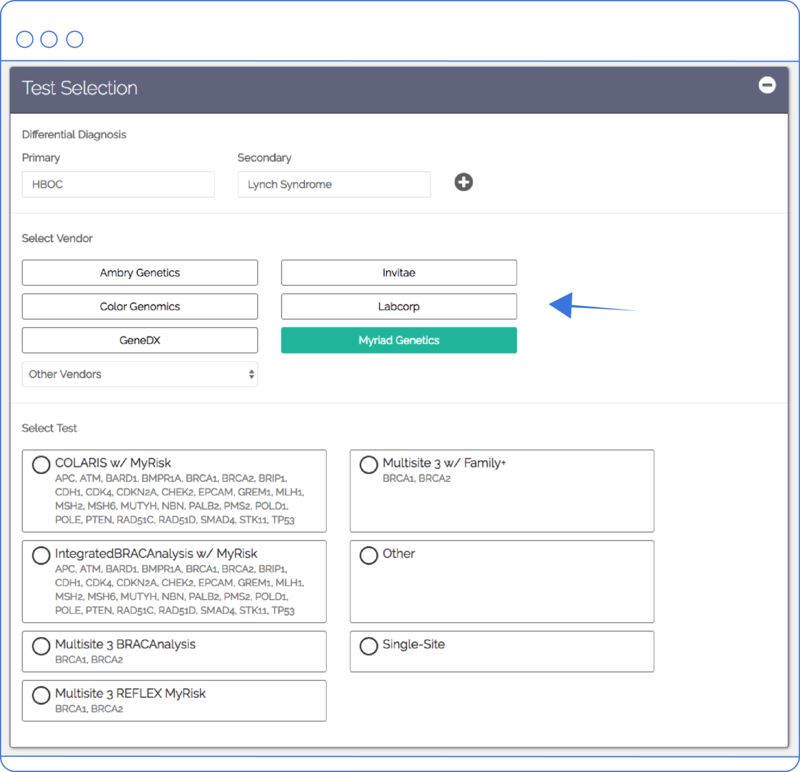 Instead of having to fill out test requisition and pre-authorization forms by hand, we pre-populate forms with information stored elsewhere in the CancerIQ platform. Testing paperwork is always complete and accurate so you never have to spend hours faxing back-and-forth with testing labs. Instead of having to sign the test requisition form and insurance pre-authorization forms manually, the patient can breeze through on a tablet and apply an e-signature. CancerIQ is dedicated to building solutions for providers to keep up with genetic testing demand. We're excited to add easier and more streamlined test-ordering features to our suite of solutions. We know that when cancer risk software and testing labs speak the same language, more patients get the care they need. Interested in learning what CancerIQ can do for you? Meet with our Chief Executive Officer at SABCS '16!